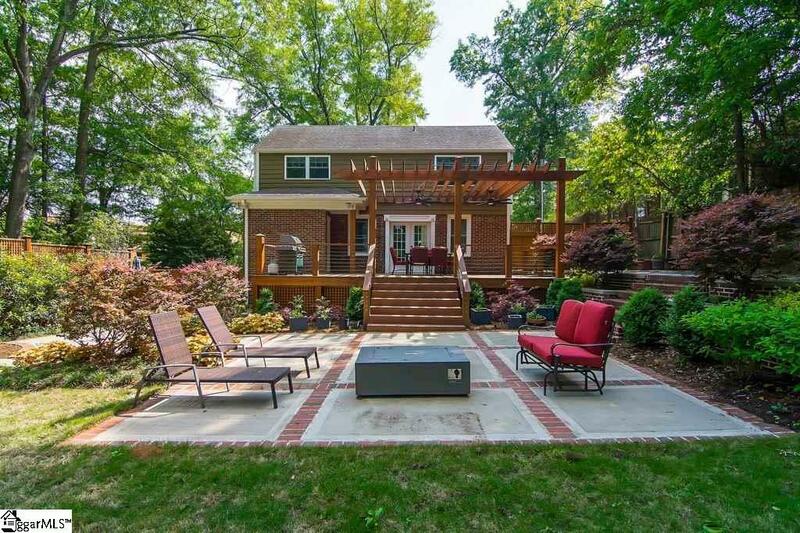 Fantastic location for enjoying everything downtown Greenville has to offer! 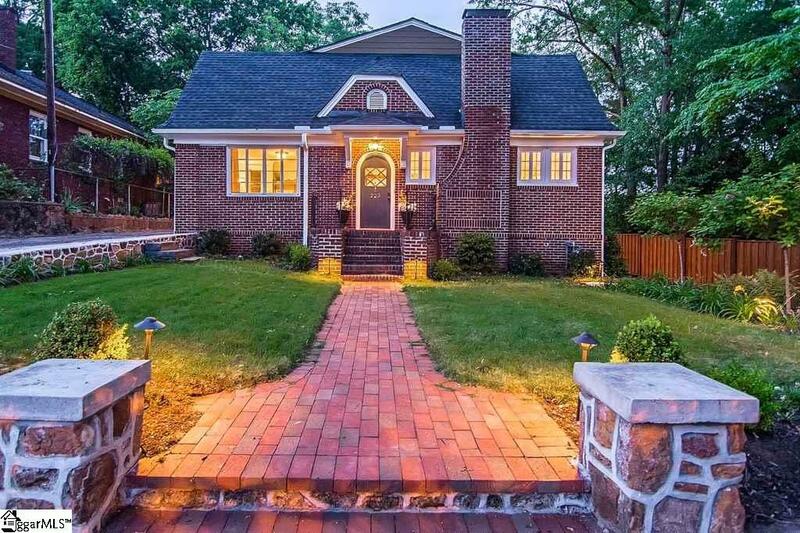 Just steps away from excellent dining and drinking options, this fully updated home located in the Earle Street Neighborhood is ideal for year-round entertaining. The main floor features a luxurious master suite, kitchen, dining room, living room, and study. The kitchen is stunning, functional, and fit for a master chef! Boasting double convection ovens, 5 burner gas cooktop, pot filler, built-in wine chiller, and extra large stainless side by side separate freezer and refrigerator, this is a kitchen ready for family dinners, prepping for the party of the year, and everything in between. The master bath is fully appointed so every day will be a day at the spa! The master bedroom also opens out to the spacious back deck and beautifully landscaped yard. The outdoor space is truly stunning, with its large deck and pergola, patio, remarkably deep lawn, blueberry bushes, landscape lighting, irrigation, and kitchen garden area, all tied together by a Graham Kimak Landscape Designs plan. When it comes to ideal outdoor spaces - this one cannot be beat, especially not in comfort. Not only does the deck have premium Kichler overhead fans that will keep pests at bay in the summer, there is also a natural gas fire pit on the patio to extend entertaining and cocktails well into the evening year-round. Beautiful custom fencing with architectural details blends seamlessly into the landscape. The comforts also extend inside with separate HVAC per floor. Upstairs provides numerous options for use as there is a second large master suite with en-suite bathroom, two more bedrooms/offices, full bathroom, and a large room that could either be a bedroom, media room, or family room! 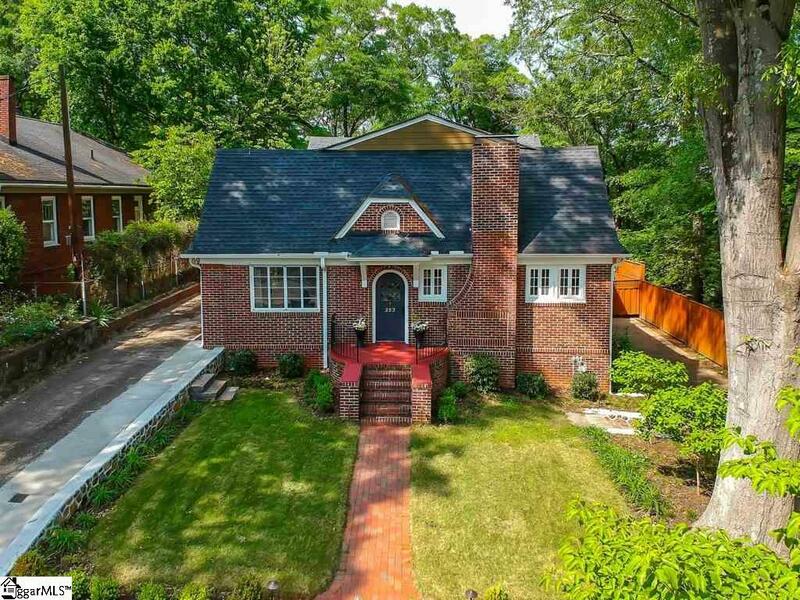 Gorgeous hardwood floors throughout add character to this home built in 1930, as does the arched front door, large baseboards, and crown molding. The two spacious driveways provide ample off street parking, a luxury in this beautiful historic neighborhood. Additionally, there is a level pad already poured and wired with electricity waiting to have a shed or storage building added to meet your gardening, hobby, or golf-cart needs. 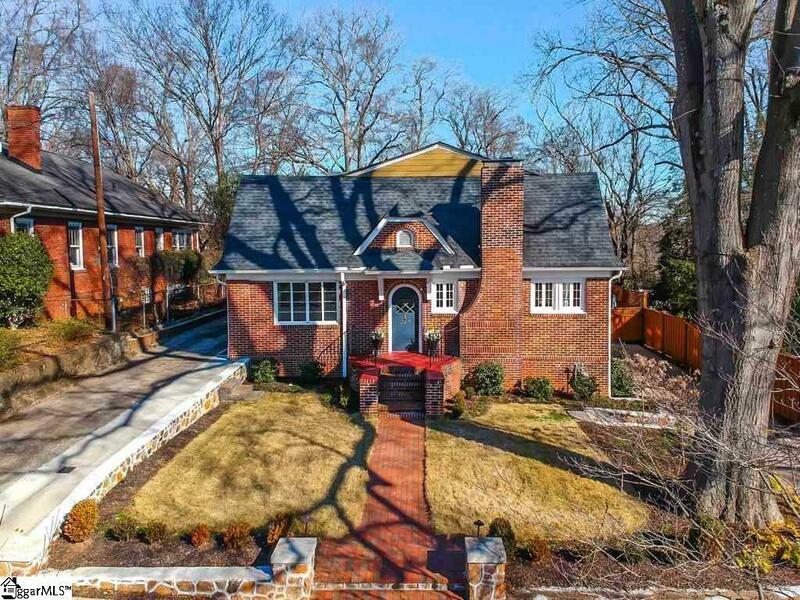 This home is a rare find, with closets in every bedroom, basement space, and an attic. Come and see how you can be a part of The City of Greenville, rated coolest town in America! Listing provided courtesy of Whitney Poitevint of Blackstream International Re.